Our first week on the North Island in New Zealand has been pretty action packed and full of very diverse landscapes. 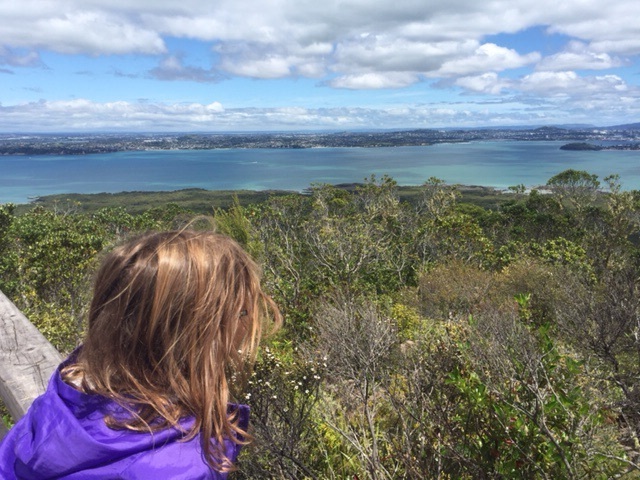 From the lava fields on Rangitoto Island, to the stalactites, stalagmites and glowworms at Waitomo Caves, the geothermal area around Rotorua and to all the farmland in between. 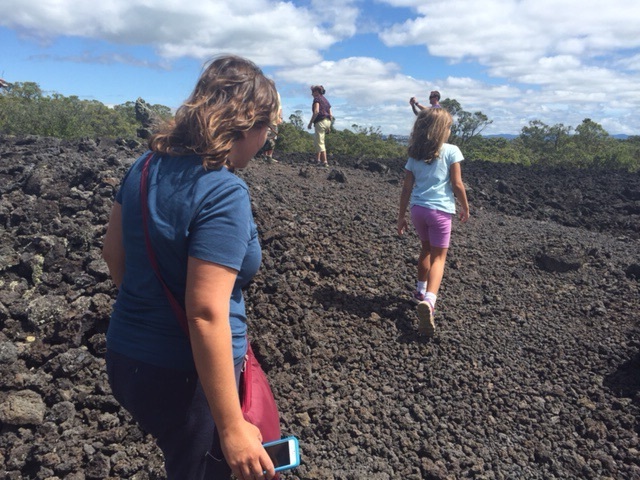 The lava fields on Rangitoto Island. It’s amazing that vegetation can grow here! Gysers by day…. At just over 1 million people, we found Auckland to have a more relaxed pace than Sydney (and much less traffic). The colors around the smaller islands and along the coast were just spectacular. The main annoyance in Auckland was the high cost of parking downtown. I would definitely take public transit or stay downtown next time. Auckland Central Business District. 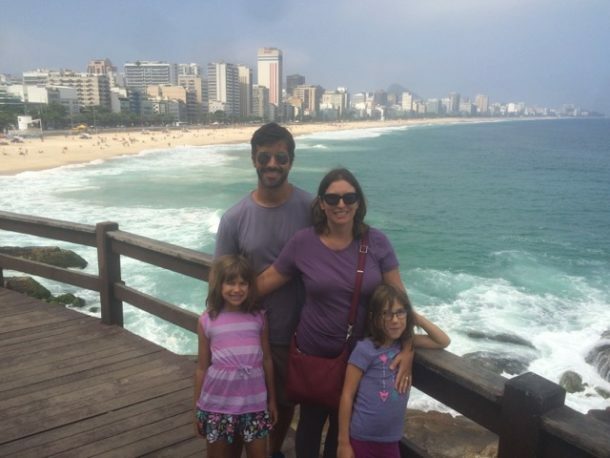 You can go from this…. To this in under 15 minutes! Our Airbnb hosts in Auckland were very friendly and the girls enjoyed having all the pets around (2 cats, 2 bunnies, 1 dog). 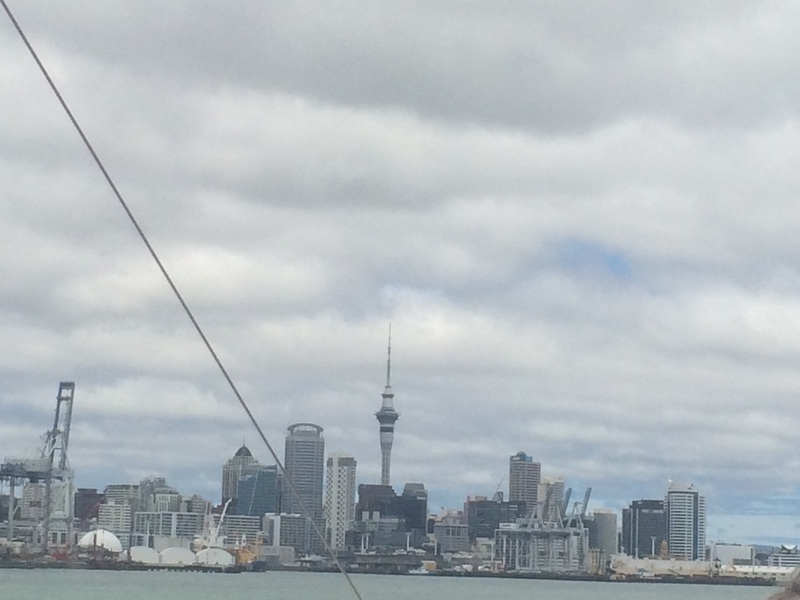 We also had beautiful weather while in Auckland. 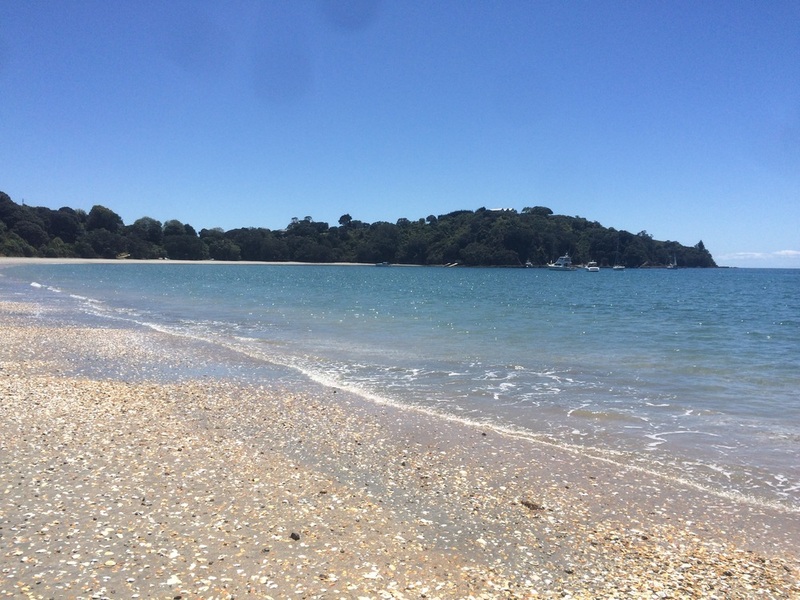 Our last full day in Auckland (Whaiheke Island)…not a cloud in sight! 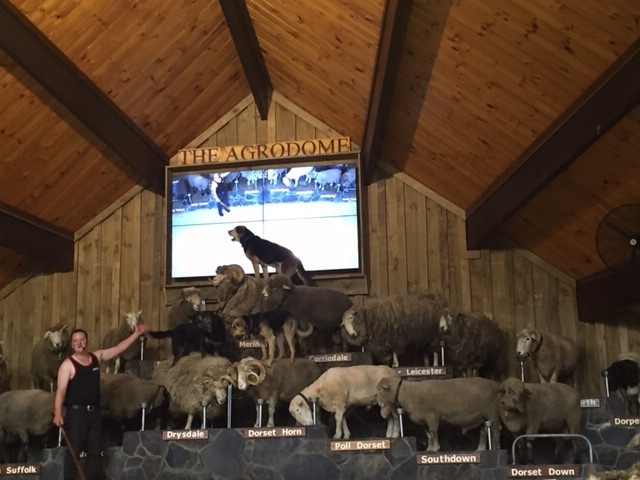 Next it was on to Waitomo. 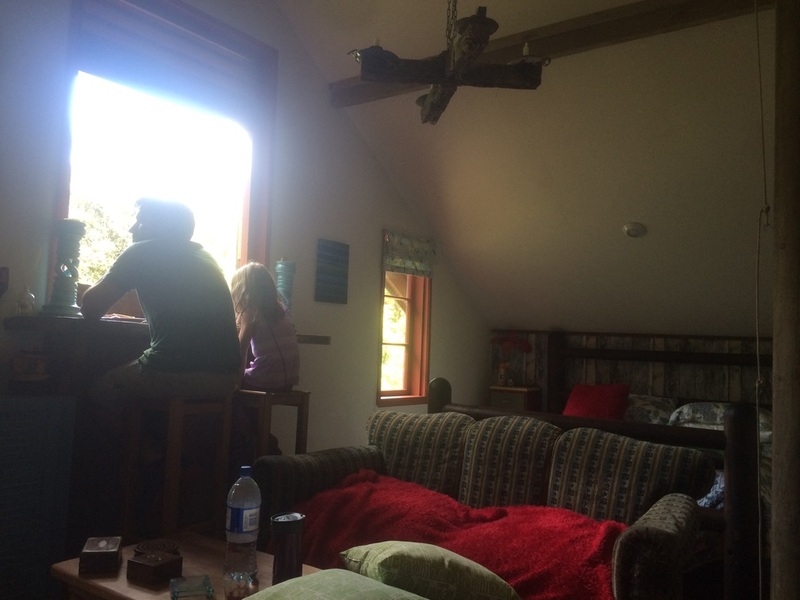 We stayed in an Airbnb about 30 minutes away in the loft of a barn! The owner had done it up very cozily, but no matter how hard she tried, a bird or two kept getting in (and leaving their mark!). Amy & Anthony taking in the view. You can see the homemade candle chandelier in the pic. Hannah loved running around the property. Pooh had a house there, as did a Hobbit. The surroundings were beautiful and I loved listening to the river at night. A wood stove kept us toasty. We woke up to pouring rain and the rain stayed with us for two days. And they’re off! 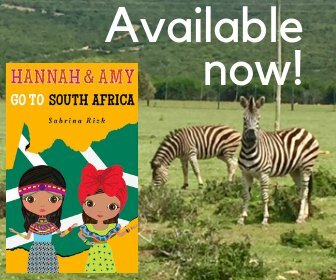 We had barely pulled into the driveway, before Hannah took off, followed by her sister! 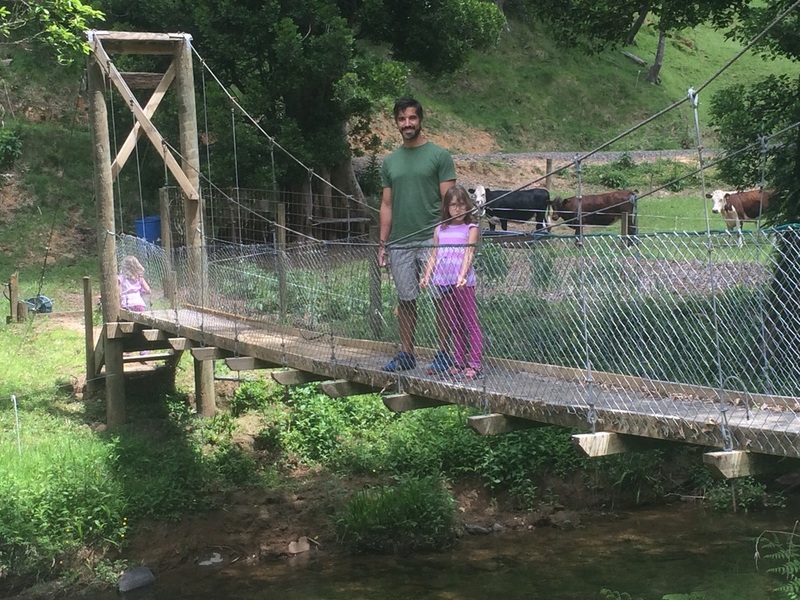 We had to walk across the suspension bridge to go from the main house to the barn. The owner could also take us in her 4×4 through the river. 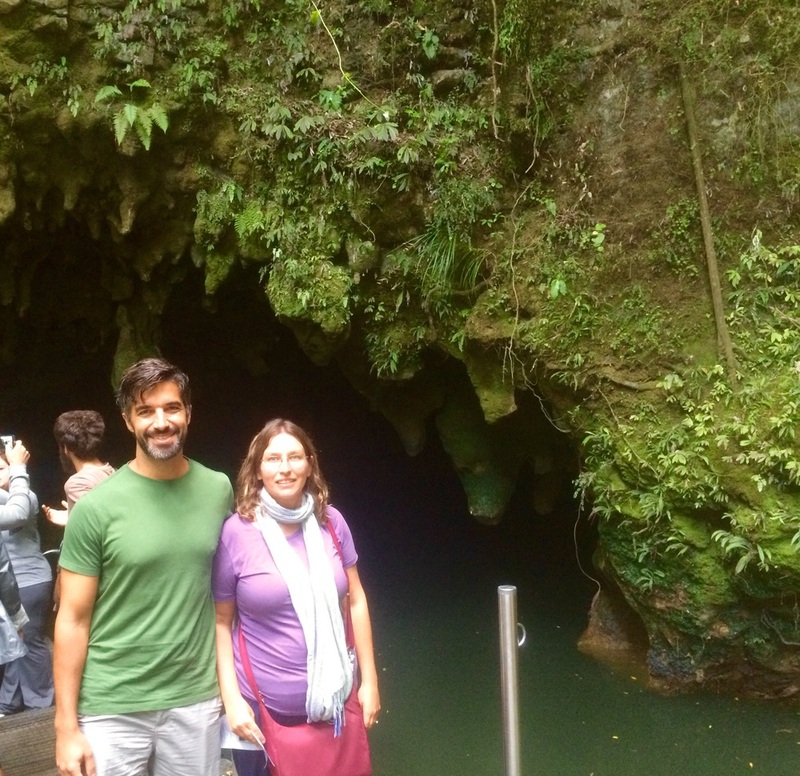 The Waitomo Glowworm Caves were spectacular, and our host told us to loop back to her farm and see the Natural Bridge and waterfall along the way. It turns out that the way back was a lot longer than the way there and I thought we were never going to get out of the never-ending drive through endless farmland (I was extremely hungry at that point). This is where you exit from the boat ride on the Waitomo Cave tour. We couldn’t take any pictures inside. Luckily we finally came across a gas station/restaurant/General store and the proprietor cooked us up some fish & chips even though the kitchen was closed. Miles & miles of farmland. Sheep still outnumber people in NZ, but the gap is closing. 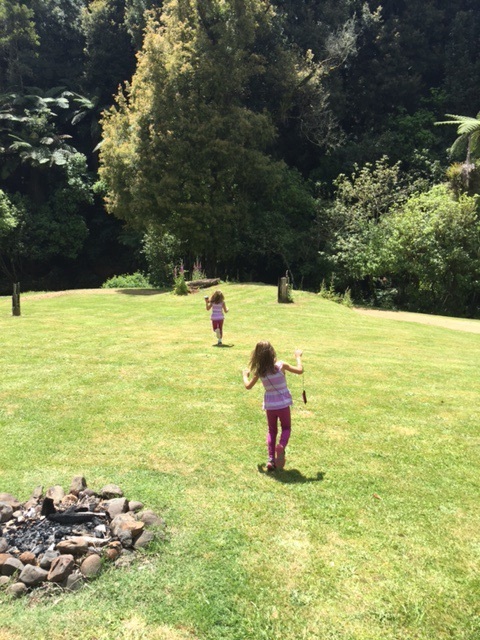 Next, it was onto Rotorua. Our first night we went to Te Puia. 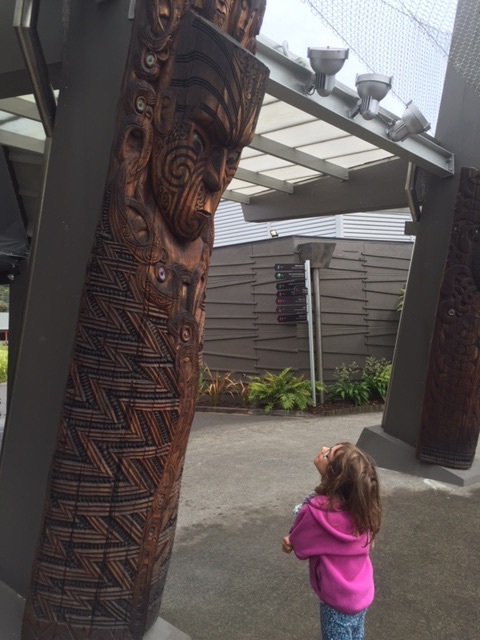 It is a Maori cultural center where they teach carving and weaving. It also has the Pohutu geyser, bubbling mud pools, boiling water still used for cooking and a Kiwi bird house (the birds were sleeping). Amy having a staring match with this carving. 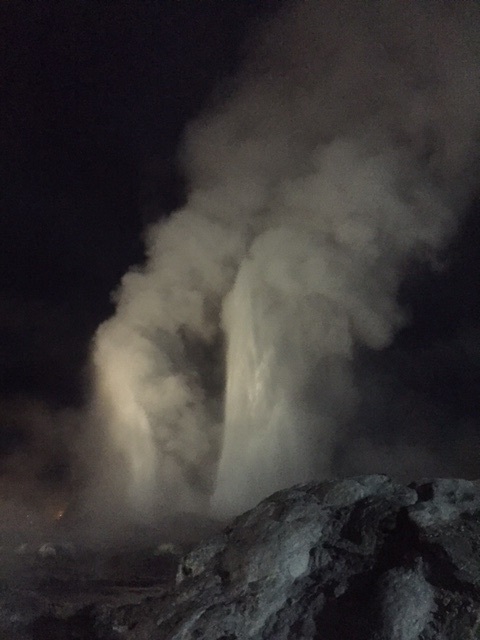 Geysers by night. 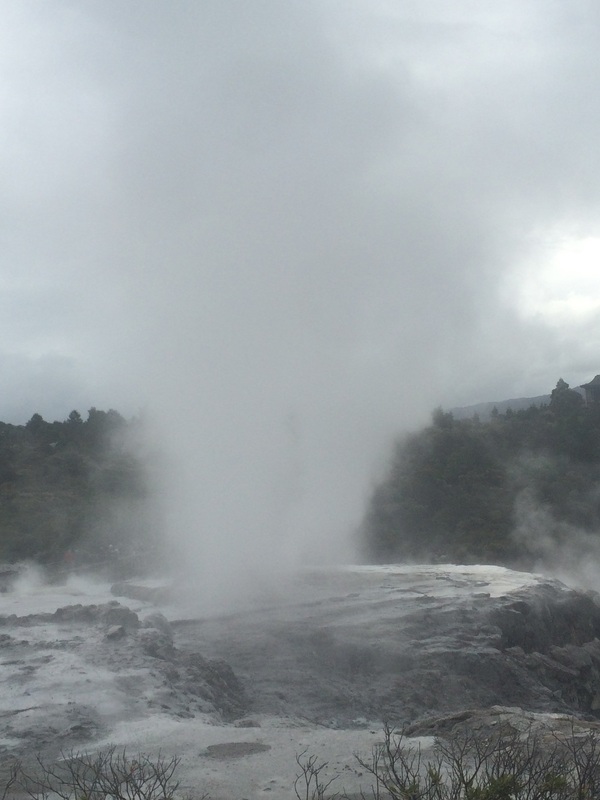 Just before we left, the tour guides sang a song & that is when the Geyser started to erupt! 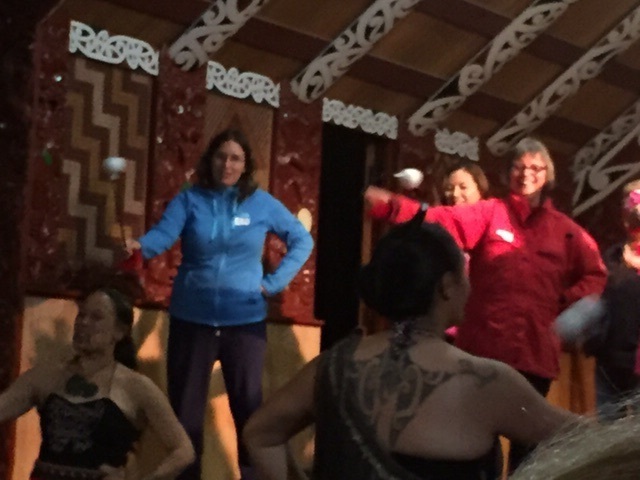 The girls thoroughly enjoyed the cultural performances, especially seeing Mommy & Daddy go up on stage to do the Poi dance and Haka war dance. The poi dance. Anthony would make a good warrior! The next day was raining, but we were inside the Agrodome for their farm show. 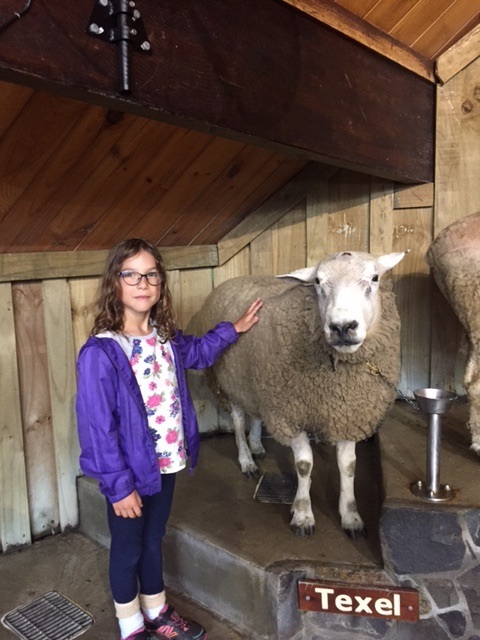 Hannah and Amy liked seeing a sheep being sheared, as well as the sheep dog herding geese and running over top of the sheep! They also thoroughly enjoyed the family hot pool we took them to afterward. The sheep dog telling everyone whose boss! Can I take this one home, Mom? 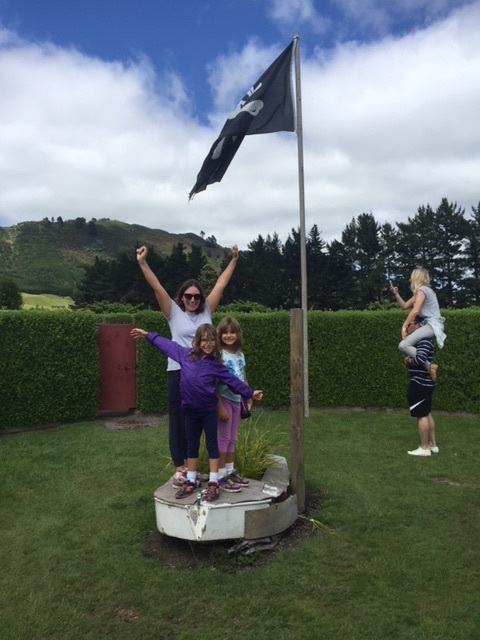 Our third day in Rotorua was rain-free, so we took advantage of that to be outside…in a maze, playing games, touring a blueberry farm, going in a natural hot pool, used by the locals, seeing more mud pools and enjoying a good meal at the local tavern afterward. We made it to the end of the maze…with a little help from Anthony & Amy! 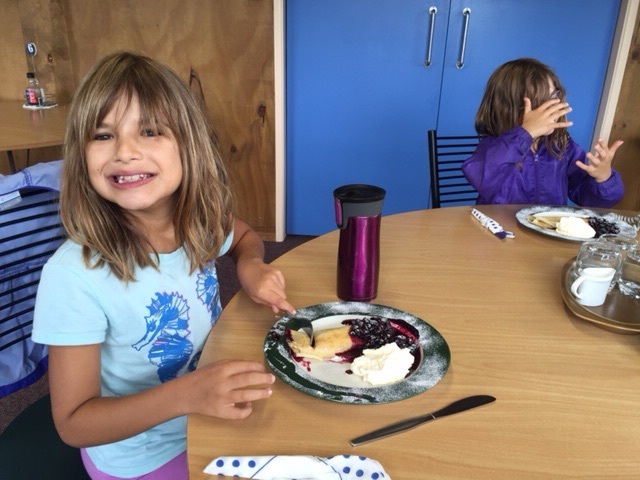 Hannah thoroughly enjoyed the blueberry crepes at Mamaku Blue. Anthony & I tried a venison & blueberry pie. So far, we are loving New Zealand and it’s diverse natural wonders and look forward to seeing more of this beautiful country. Amy taking in the scenery. 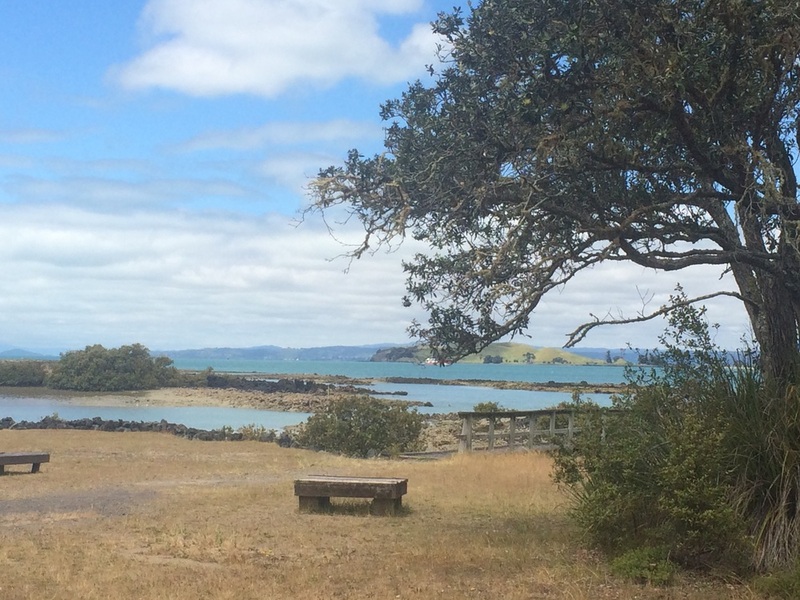 I loved New Zealand! So great to see your photos and impressions on this lovely country. 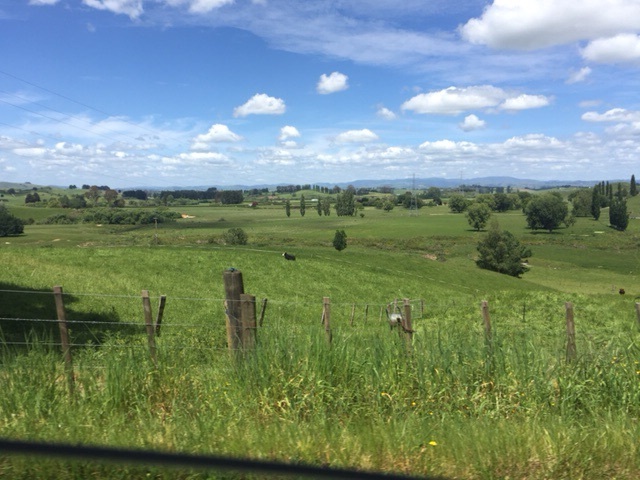 I loved all your photos of New Zealand. I am so gjad that you had a wonderful time there.